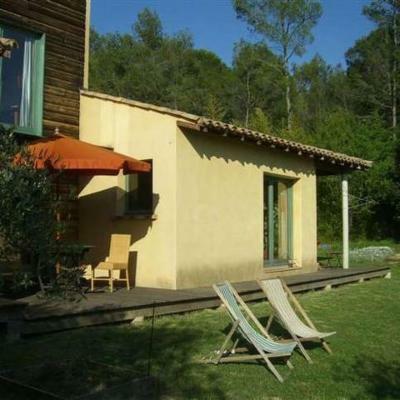 The house is located 20 minutes from Montpellier (active cultural live), 30 minutes by car from the Mediterranean sea and 30 minutes from a river where it is very nice to canoe and to take baths. Recently built home 110m2. There is a terrace all aroud the house, a garden with lawn and trees. The garden is an open space without fences and you can make by feet nice hikes directly from the house. We have a very nice view to nature, old village and a roman Church. Our neighbours are friends.